60 people buried by an Indonesian gold mine collapse. At least 60 people feared buried by a landslide at an illegal Indonesian gold mine. On April 28, a day of remembrance for workers who are killed, injured or disabled due to work, we the members of the Asian Network for the Rights of Occupational and Environmental Victims (ANROEV) a coalition of victims’ groups, trade unions and other labour groups across Asia raise our voices collectively for the ratification of the ILO convention 155 on Occupational Safety and Health and the working Environment. 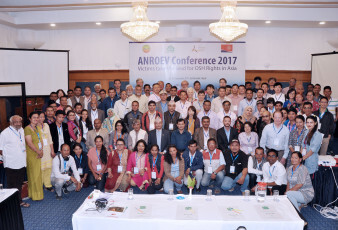 The ANROEV network is a grassroots network that is committed to the rights of victims and for overall improvement of health and safety at the workplace. Work-related disease and accidents are increasing due to OSH Rights violation at the workplace in Asia and poor working conditions kill a worker every 15 seconds across the globe. [i] According to the ILO[ii] in 2017, OSH-related deaths totaled to 2.78 million workers per year and 317 million workers suffer from work-related injuries annually[iii] . The total cost of accidents, death and illnesses is conservatively estimated at four percent (4%) of the world GDP[iv]. Asia is the highest contributor to these figures and constituted about two-thirds of the global work-related mortality in 2017. The overall development approach in the field of OSH in Asia is mainly focused on workplace accident, addressing occupational diseases is still not a priority. 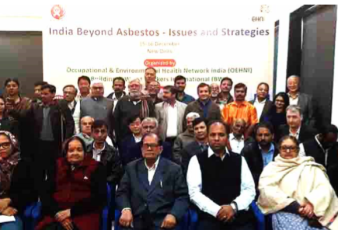 Occupational diseases (silicosis, asbestosis and occupational cancers and many more) are an invisible and imminent threat for workers in Asia. 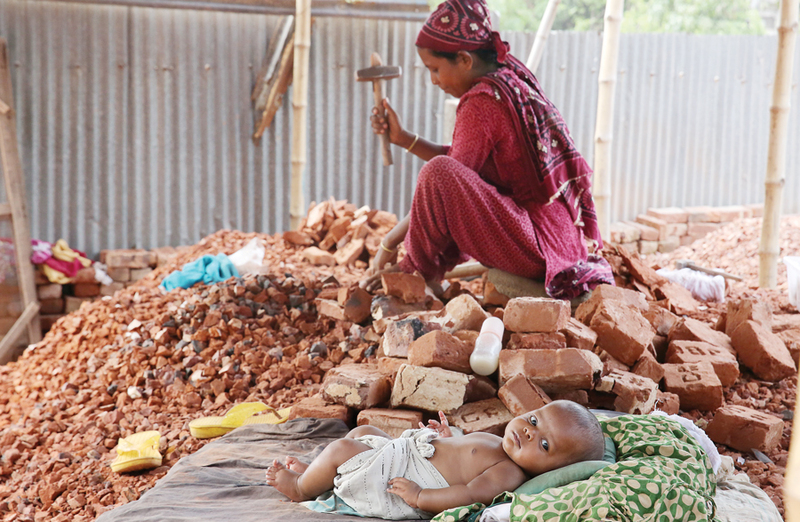 The absence of OSH Rights, social protection and just compensation for industrial accidents, injuries and diseases are pushing affected families deeper into poverty and making them vulnerable. Recent tragic workplace accidents in Asia such as Ali Enterprises  in Pakistan, Tazreen Fire  and Rana Plaza Tragedy  in Bangladesh, Kentex factory fire , HTI fire  in the Philippines and the Fireworks factory explosion  in Indonesia show consistently that health and safety of workers is not prioritised by employers or the enforcement authorities. Victims specially women and young people are even further marginalised as they find it even harder to find long term unemployment or are forced to take precarious work that is low paid, unprotected and hazardous. 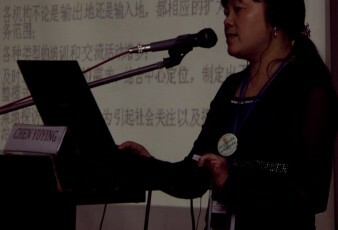 Despite of the fact that large numbers of workers in different industries and workplaces are being exposed to deadly hazards and carcinogens, diagnosis of these occupational related illnesses and diseases takes a long time because of multitude reasons in the Asian region like lax laws, poor enforcement mechanisms, lack of skilled doctors to name a few. There is a dire need for medical practitioners who are adept and skilled in diagnosing occupational diseases and doctors on the ground who have access to workers and communities to make a timely diagnosis to ensure that workers receive swift treatment and compensation. OSH legislations are outdated (regressive) as these generally fail to keep in step with emerging workplace issues and non-standard forms of employment. In many cases, workers in the informal economy, domestic workers, migrant workers are not covered under the legislations. Enforcement of OSH legislations are equally a serious concern in Asia and require joint responses at national and regional level. 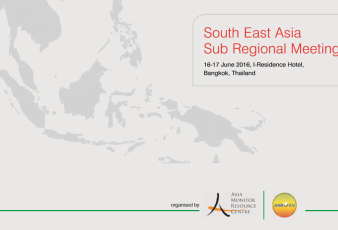 Updated OSH legislation in the Asian region reflecting the nature of work in Asia is crucial to prevent workplace accidents and diseases and to ensure just compensation for victims. 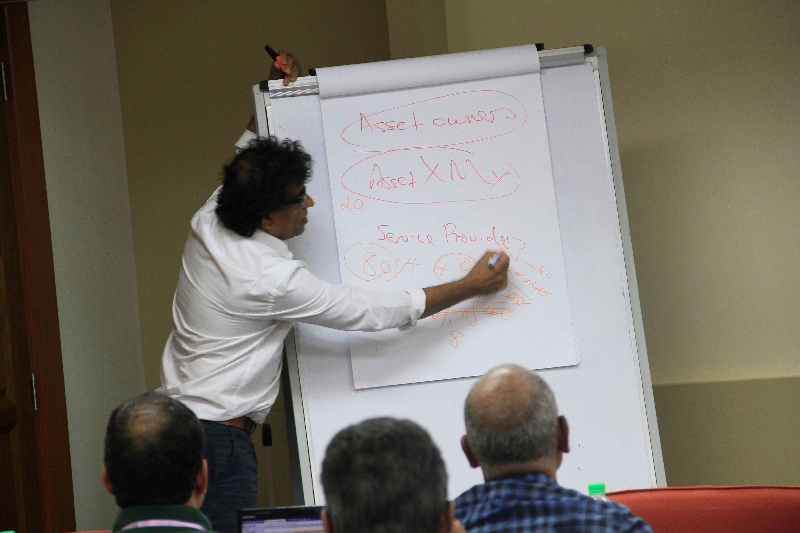 The formulation of harmonisation of compensation systems and ratify ILO Convention 155 is an urgent need in Asia. On the International Workers’ Memorial Day 2018, ANROEV demands the governments in Asia ratify ILO Convention 155 to ensure workers’ rights for a safe and healthy workplace. At least 1,242 workers were killed and 371 were injured at their workplace in the year 2017 while the number was 1,240 last year. About 92.9% of the deceased workers were male and 7.1% were female, the statistics showed. Although the issue of workplace safety has gained much attention in the recent years, especially after the collapse of Rana Plaza in 2013, a rising number of accidents in garments and other factories have once again intensified the need for labour security in the country. 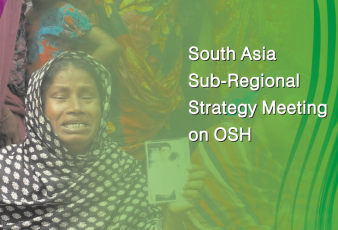 According to Bangladesh Occupational Safety, Health and Environment Foundation (OSHE), a specialized foundation that works for the implementation of labour rights, the number of workplace death in 2016 was higher than the previous three years.